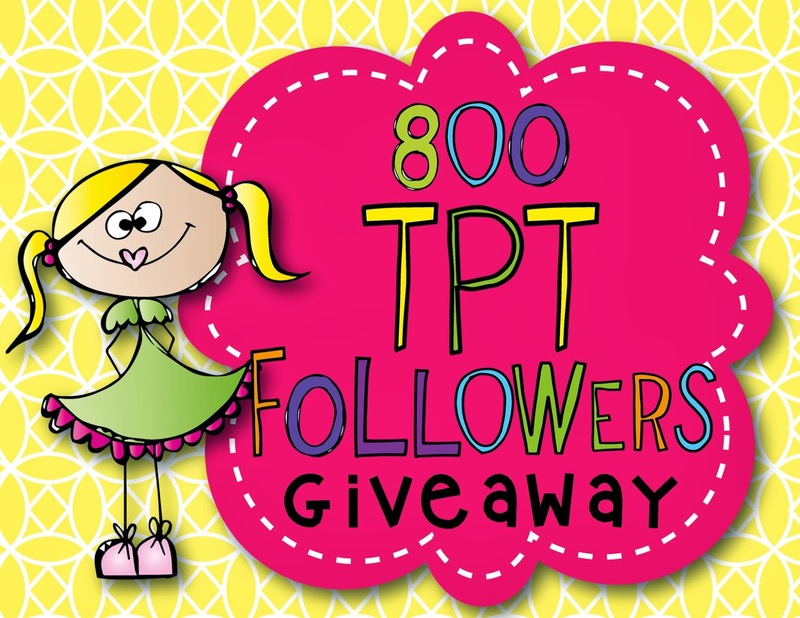 I am so floored that I have 800 teachers that have chosen to follow me on TPT! I have just launched a HUGE giveaway on my Facebook page. Comment on the 800 TPT Followers post with a link to the product from my store that you wish you could have, maybe it has been on your wishlist for some time, or maybe you just saw one of my new products come through your email and thought it looked neat. Tonight at 10:00 PM I will randomly choose 8 winners to receive the product they posted!